The Boneshaker Band is on a journey. Catch it in the intimate setting of the OSO Arts Centre and let it take you from the Charleston of the roaring 20s via the mambos of La Dolce Vita, to the strictly dancefloor of the Latin Tango Quarter. 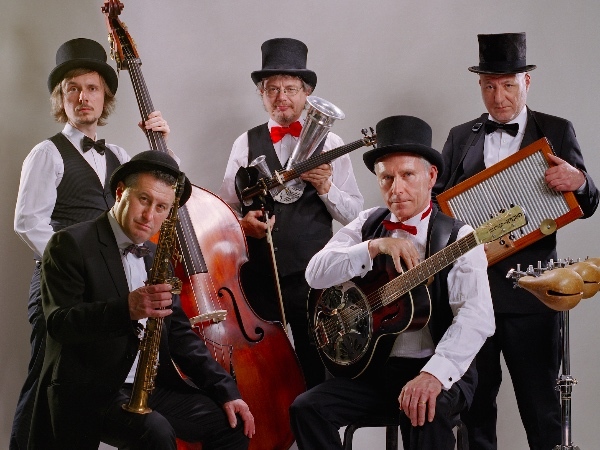 Cross the Mississippi Blues Delta with the Klezmer-esque to the whiskey bars of the Weimar Cabaret, and go yet beyond into the curious musical menagerie of the Boneshaker Band.